An officer of the United States Agency for International Development-American Schools and Hospitals Abroad (USAID-ASHA) visited the campus late last month. Engr. 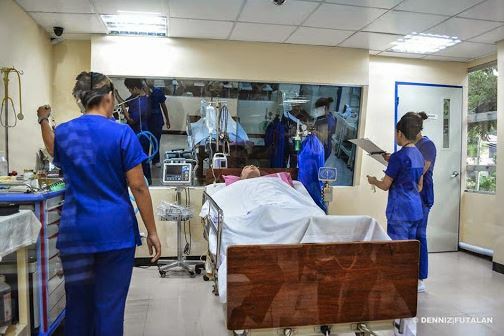 Mohammad Latif, Lead Engineering Officer of USAID-ASHA had an ocular of projects they funded in Silliman, including the Simulation Laboratory at the College of Nursing. The Simulation Laboratory received a $500,000 grant from USAID-ASHA through the United Board for Christian Higher Education in Asia. 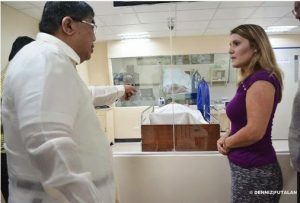 He also had a quick tour of the Silliman University Medical Center and other learning facilities around the campus, particularly at the Institute of Environmental and Marine Sciences (IEMS) at the Dr. Angel C. Alcala Marine Laboratories. The construction of the building hosting IEMS and its laboratories was funded by the USAID. Before he concluded his two-day trip on April 22, Engr. Latif met with incoming Silliman President Dr. Betty Cernol-McCann and explored partnership opportunities in common areas of interest, such as the environment and climate change.